Kaloko Honokohau is one of my favorite parks in the National Park system! 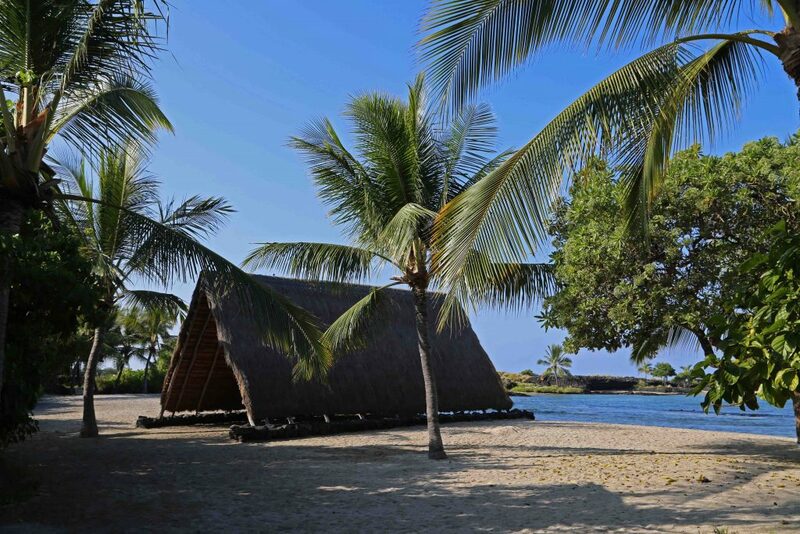 It is extremely easy to access and is located just north of Kona on the Big Island of Hawaii. You can visit the parks visitor center, go for a hike, go wildlife viewing and explore the beach. There have been several times that I have found myself to be one of two people on the entire beach looking out into the Pacific Ocean. Me and my wife, Tammilee, have found ourselves realizing that we have an entire piece of paradise all too ourselves! It is also one of the best sunsets you will ever find. Imagine sitting on the beach watching sea turtles sleep in the sand while watching the sunset over the Pacific Ocean with palm trees in the background…truly paradise! Kaloko-Honokohau is one of the hidden gems of Hawaii. 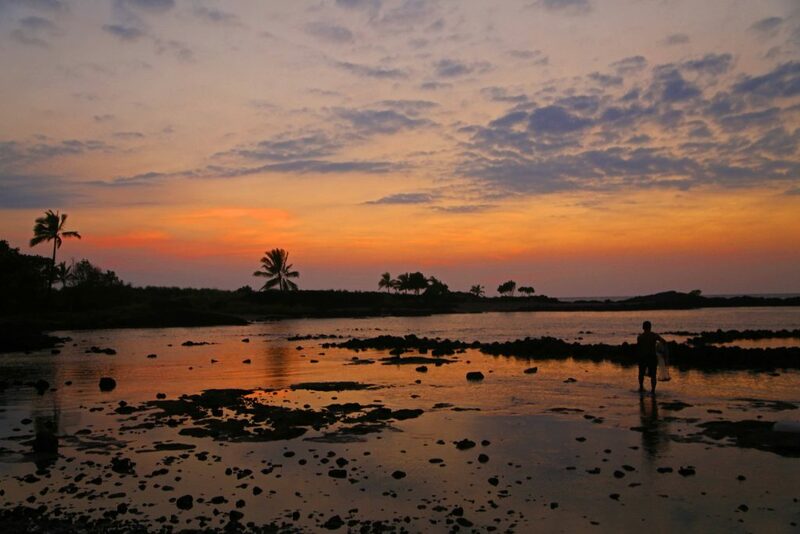 Established in 1978, Kaloko Honokohau was created to preserve the coastal sections of two ahupua‘a (traditional land divisions), Kaloko and Honokōhau. You can hike out and see the largest fish pond wall in Hawai’i which was recently completed in the park. The rock wall is over 800ft in length and 40ft wide and shows how native Hawaiians (kanaka maoli) used fish ponds to survive in this hot arid environment. 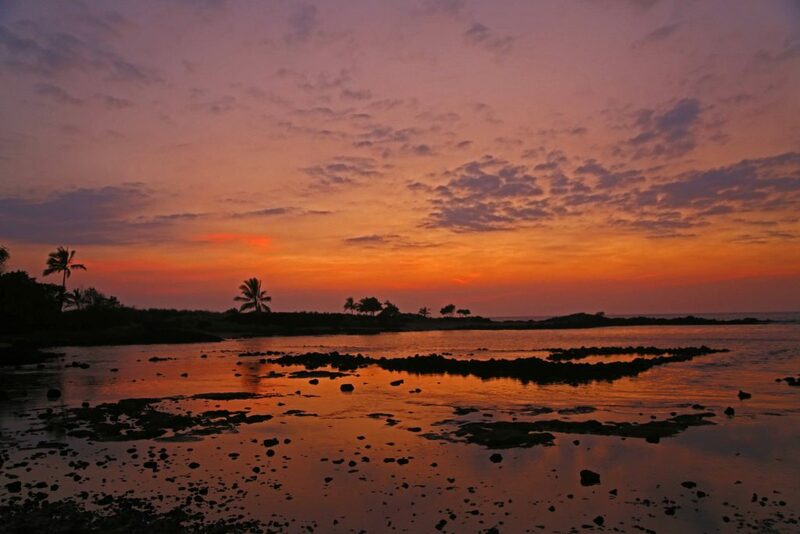 The wetland of the Aimakapa Fishpond is an amazing place to look for birds. Early morning is a great time for birdwatching and it gets you out before it gets really hot especially hiking on the black lava. Migrating birds stop at the wetlands during the winter. Keep an eye out for endangered Hawaiian stilts and coots in the Kaloko Fishpond. The visitor center, Hale Ho’okipa, is located half a mile north of the entrance to Honokohau Harbor. Hale Ho’okipa, the Park’s Visitor Center has a bookstore/gift shop, interpretive information, a ranger on duty, and great views of the Pacific Ocean. This area is considered sacred and should be protected. Please do not climb on walls, pick plants, get too close to the turtles, or remove artifacts or rocks. This park is here to preserve the culture of the ancient Hawaiians. Entrance fees: There is no entrance fee! Park Hours: Hale Ho’okipa Visitor Center and parking lot are open 8:30 am-4:00 pm daily. The Kaloko Road Gate is open from 8:00am-5:00 pm daily. 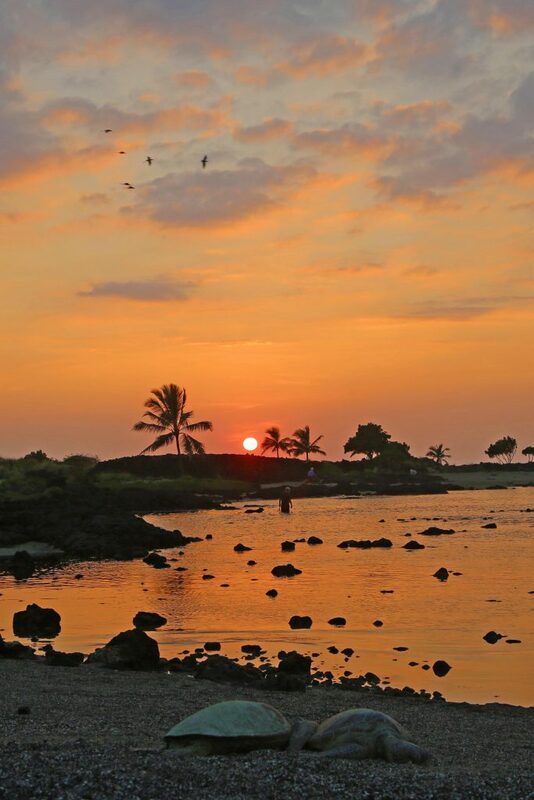 An entrance, which leads to the south end of the park, is reached by following Kealakehe Parkway to the Honokohau Harbor, taking the first right turn and then following the road to the Kona Sailing Club. From here it is a short walk to the beach area. Visitors are welcome in the park after 4:00 PM, but vehicles must be removed from Hale Ho’okipa Visitor Center parking area. Pets: Pets are allowed but must be on a leash at all times. Camping: There is no camping at this park.